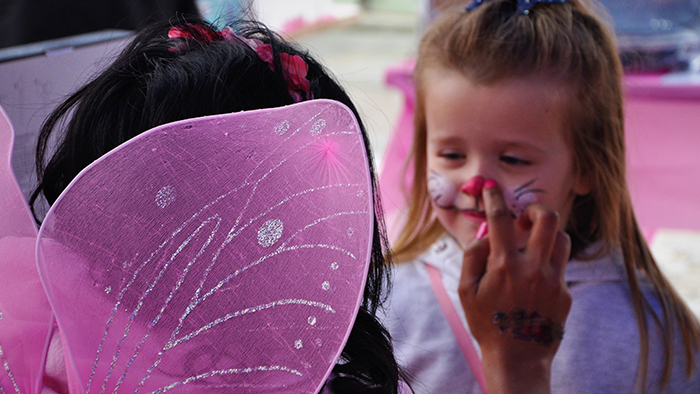 Gianna painted Highbury pink for her wear it pink event… and paint it pink they did! For our wear it pink day we decided to paint Highbury pink! We met, in the dark, at 5.30am to set up the marquees and stands (with creative flair directing from Sarah!) and by 10am we were just about ready to go. The ribbon was cut and Paint Highbury Pink began. Locals crowded around our stalls selling our beautiful cakes, savoury goodies (all handmade and donated), and Paint Highbury Pink merchandise, including sweatshirts, t-shirts, hoodies and mugs. British Jewellery Designer of the Year Sophie Harley designed a range of pink jewellery for us, which alone raised around £1,500 for Breast Cancer Now. We had the Hotblack Gallery - our local estate agent, who gave over their shop to us for the day - where local artists donated paintings and artworks, and it was also a huge success. Our day was finished off with the fabulous Scott Elvis who came and performed - he got the whole of Highbury Rocking. The day exceeded all expectations. It was a really wonderful feeling: so many people there, happy and being part of this very special day. 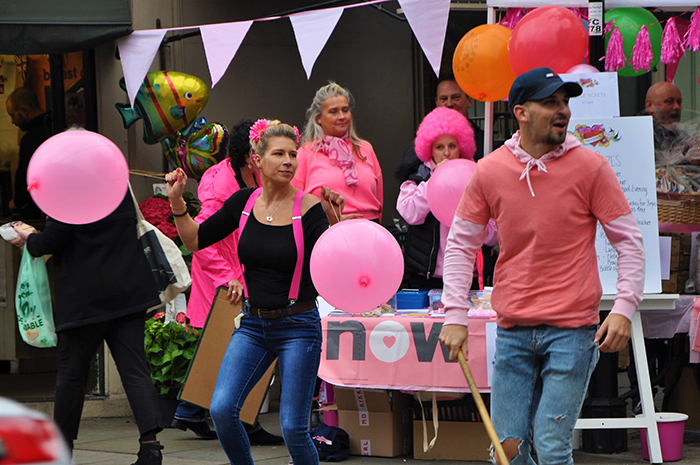 You can check out photos and videos from the day on the Paint Highbury Pink Facebook page! For me, the best part of the day was all the people involved. So many people wanted to help and be part of it, and for every moment of that day it was about our founder Michelle Lovell - we felt very proud to be able to carry forward something she started. I know she would have been very proud. An event like this needs a good organisational team with different skills, along with a lot of forward planning so that on the day everything runs smoothly - we started planning Paint Highbury Pink nine months before the day. Don’t be afraid to ask people to help or donate, I was truly surprised by the level of generosity from everyone we approached.